Professor Ncube currently divides his time between the private sector in Switzerland and academia in the United Kingdom. He is a Professor at the University of Oxford, UK where he teaches in economic development and public policy and doing business in Africa, at both the SAID Business School, and Blavatnik School of Government. He is also the HSBC Distinguished professor of Banking and Financial Markets at the University of the Witwatersrand. In January 2018 he arranged and sponsored the luncheon with Swiss and European Business community, for the visiting President of Zimbabwe and his ministerial delegation, in Zurich Switzerland. This event contributed to the agenda of “Zimbabwe is open for business”. In Abidjan, in April 2017, he chaired and moderated the event on investing in Zimbabwe, which was attended by the Zimbabwe President, President of Afrexim Bank, Zimbabwe ministers, and the business community. 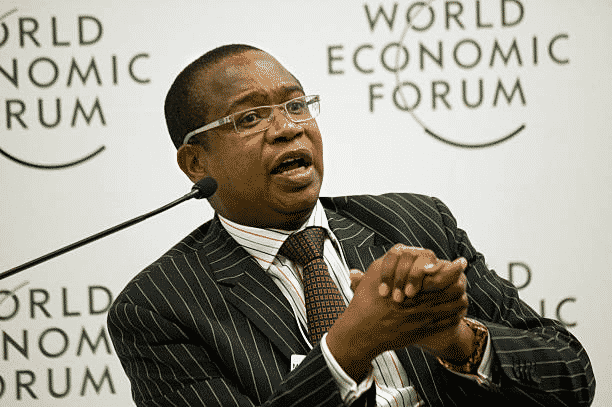 Prof Ncube served as Vice President and Chief Economist of the African Development Bank Group (AfDB) where was able to give the bank a coherent strategy and agenda for the first time in a long while. He was recommended and supported by the various Governments of SADC and East Africa, for the position at the African Development Bank Group. He has a strong background in economics and finance, and banking. He led the strategic thinking within the bank on economic development issues for the entire African continent. He is now ranked as the number 1 economic thinker in Africa, and in the top 5% economic thinkers globally. He led and guided the development of the Bank’ 10 term Strategy (2013-2022) and was a member of the senior management team at AfDB. He represented the AfDB in most outside engagements and spokesperson on economic/development issues. He was Chairman of Operations Committee (Approving Investment Projects and Operations) for the bank in 2011-2012. Additionally, he was the Chair of the Advisory Panel on Ethics and Anti-Corruption for the AfDB in 2012. He pioneered and championed the “inclusive growth agenda” for Africa and also has led policy dialogue activities with governments in Africa at ministerial level. He has developed the “Infrastructure Investments in Africa” and developed an “Africa Infrastructure Development Index (AIDI)”, which tracks progress in development and access to infrastructure in all of Africa. He have also developed the concept of “inclusive infrastructure”, on the back of the whole principle of “inclusive growth”, and developed an “Inclusive growth Index” for Africa. He has also guided the project on the “African Information Highway”, for the development of national statistics across Africa, a project supported by StatsSA (of South Africa) as a key partner. For the last 20 years, he has also contributed immensely to capacity development and economic research on the African Continent with the African Economic Research Consortium (AERC), which has produced 3000 economists on the African continent at Masters and PhD levels. The graduates work in Central Banks and Ministries of Finance all over Africa. The AERC is based in Kenya, but is a United States not-for-profit organisation registered in the state of Delaware. He is now Chairman of the Board of AERC, the first African to chair the board. Moreover, he has published 14 books, and numerous papers, articles in the area of economics and political economy and finance, and received numerous awards. Some of his recent books include, Development Dynamics: lessons from Zimbabwe (1992); Monetary Policy and the Economy in South Africa (Macmillan 2013); Quantitative Easing and its Impact (2013); Africa’s Middleclass (2014); African Financial Markets and Monetary Policy (2009); Inclusive Growth in Africa (to be published in 2015); Infrastructure in Africa(2017), Global uncertainty, and Exchange Rates (2018). He is a leading thinker in finance and economic development issues globally, and a visionary and strong leader. His interests are in golf, reading, writing and painting. He is married to an Engineer with whom they have 4 children.